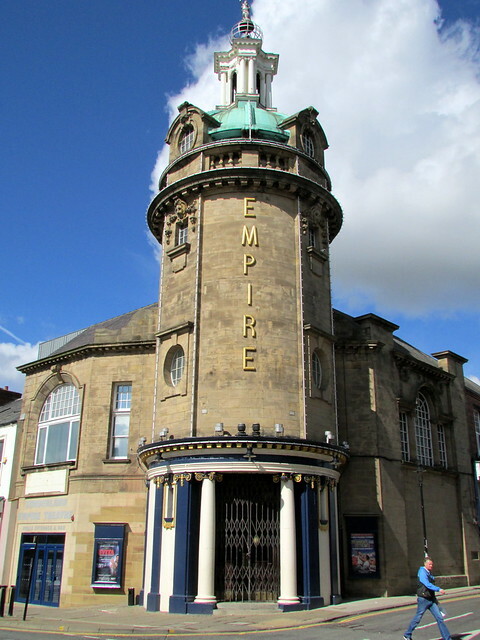 The Empire is a 1,860 seat theatre located on High Street West in Sunderland SR1 3EX. The Empire was opened on 1st July 1907 by variety star Vesta Tilley. The Empire is a Grade II* listed building. 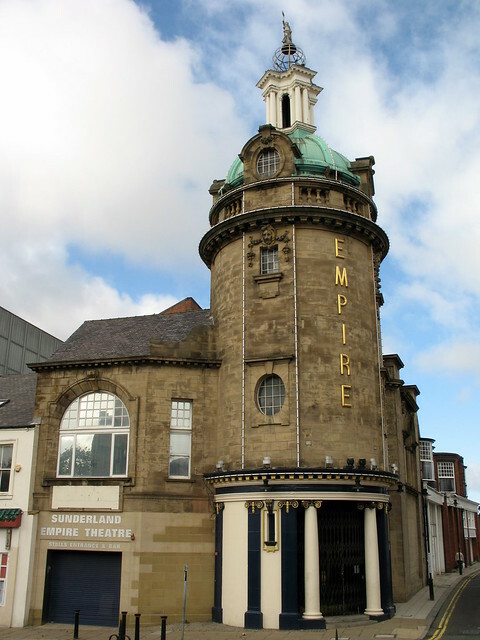 The Sunderland Empire Theatre is a large theatre venue located in High Street West in Sunderland, North East England. 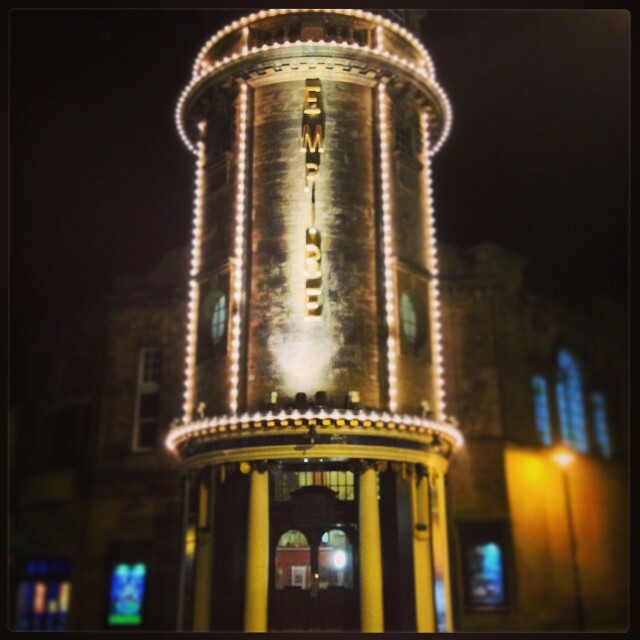 The theatre, which opened in 1907, is owned by City of Sunderland Council and operated by Ambassador Theatre Group Ltd, on behalf of Sunderland Empire Theatre Trust. The auditorium is also one of the few remaining in the UK to have four tiers, namely the Orchestra Stalls, the Dress Circle, the Upper Circle and the Gallery. 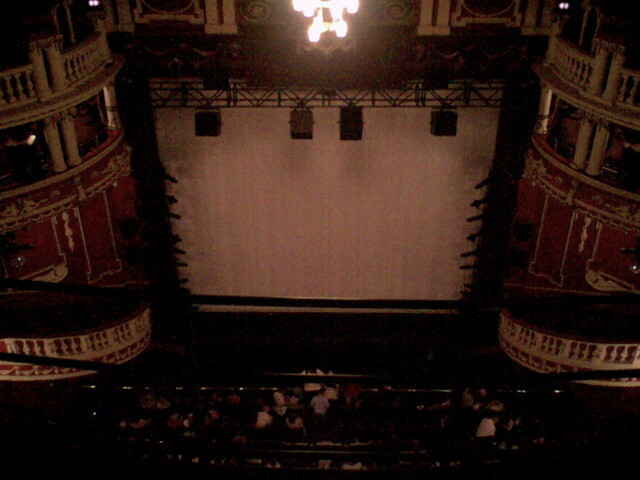 There are four private boxes on the Dress Circle level, as well as two proscenium boxes on the Upper Circle balcony. 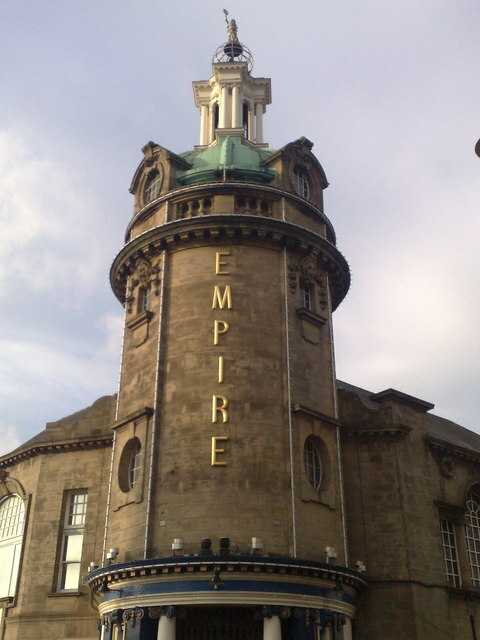 The Empire Palace, as it was originally called, was established independently by Richard Thornton after his partnership with theatre magnate Edward Moss was dissolved. It was opened on 1 July 1907 by variety and vaudeville star Vesta Tilley, who had laid the foundation stone on 29 September 1906. The dome on the 90 ft tower featured a revolving sphere bearing the statue of Terpsichore, the Greek Muse of dance and choral song. These were removed during World War II for safety reasons, after a bomb which had fallen nearby rocked the building. The original statue is now located at the top of the main staircase, with a replica on the dome itself. The dome and tower have recently been refitted with a state-of-the-art LED and floodlight system that illuminates the main entrance in the evening. Until the mid-twenties, the Empire enjoyed much extended success from its variety performances. With the decline of touring theatre, a projection box was added in 1930 and for the first time, the theatre played host to motion pictures. 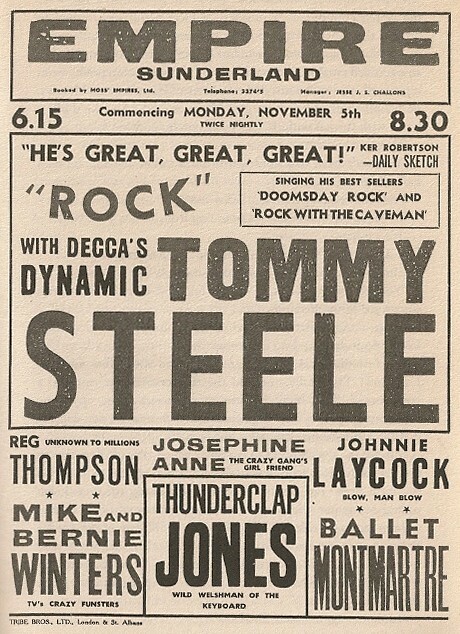 On 5 November 1956 Tommy Steele made his stage debut heading the bill in a variety show. 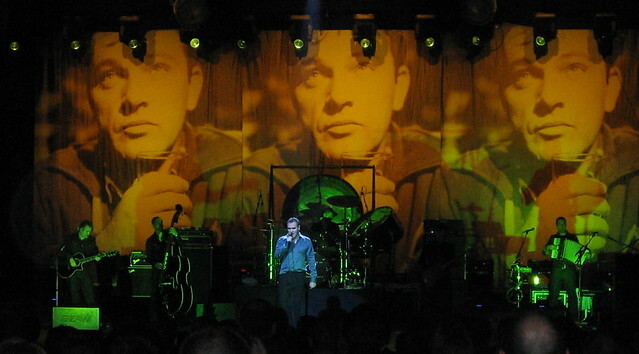 Steele, Britain's first rock 'n' roll singer, went on to become one of the world's leading song and dance men appearing at the Empire many times. Although audience figures were high during the 1940s and early 1950s, the theatre closed in May 1959 due to the growing popularity of television and cinema. It reopened in 1960, however, after Sunderland Council bought the theatre. The Beatles performed there during their first UK national tour. The actor Sid James suffered a heart attack during a performance of The Mating Season on 26 April 1976 and died on the way to hospital. Later it was rumoured that his ghost was in the dressing room he occupied on the night of his death; after one experience during a gig there, the comedian Les Dawson refused to play the venue again. Whilst the ghost of James is said to haunt backstage, the spirits of Vesta Tilley and Molly Moselle are said to haunt the front-of-house areas. Molly Moselle was a stage manager for Ivor Novello's The Dancing Years in 1949. Leaving the theatre to post a letter, she disappeared down a nearby alley and was never seen again. 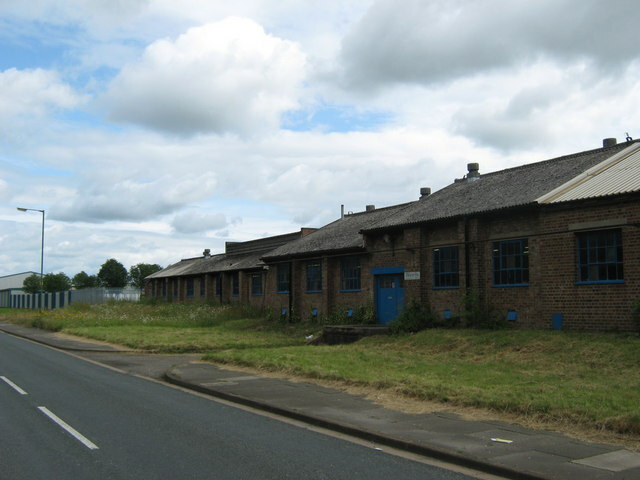 The Empire was known as a 'comic graveyard' - rather unfortunately given the above points - because of the partisan reception of the audiences of the time [http://www.sunderland.gov.uk/Public/Editable/Themes/Visitors-Guide/History/did-you-know.asp]. Nowadays, the theatre regularly plays host to large-scale musicals, opera, ballet, dance showcases, amateur productions and one-night shows. Oscar-winning actress Helen Mirren made her stage debut at the Sunderland Empire. The theatre was the regular venue for the University of Sunderland's graduation ceremonies until the theatre's refurbishment in 2004. Since this time, the graduation ceremonies have been held at Sunderland AFC's Stadium of Light. Birmingham Royal Ballet frequently visits the Sunderland Empire, and BRB considers the theatre as its base in the North East of England. Following a nine-month closure for a £4.5m redevelopment project to enable it to stage West End shows, the theatre reopened on 9 December 2004 with a performance of Starlight Express. This refurbishment involved expanding the stage and the height of the fly tower. 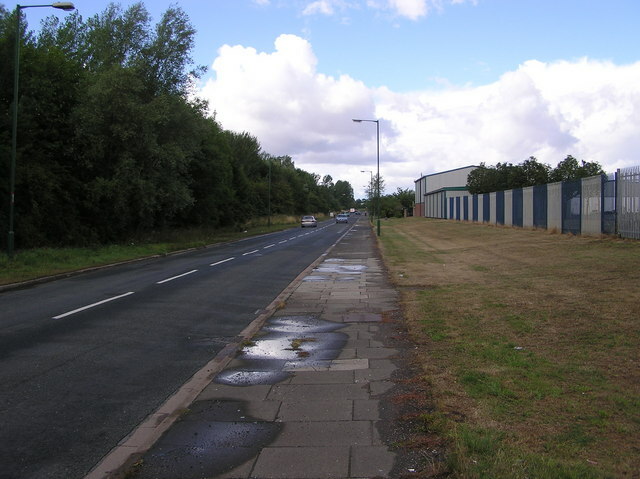 The refurbishment also allowed a new production of Miss Saigon to be staged at Sunderland in early 2005. On 9 December 2005, the Sunderland Empire staged a preview performance of the first ever touring production of Chitty Chitty Bang Bang, starring Tim Flavin and Robin Askwith. The official European premiere of this production took place there on the following Tuesday, 13 December. On 2 May 2006, a new touring production of My Fair Lady began its run, starring Christopher Cazenove and Amy Nuttall. 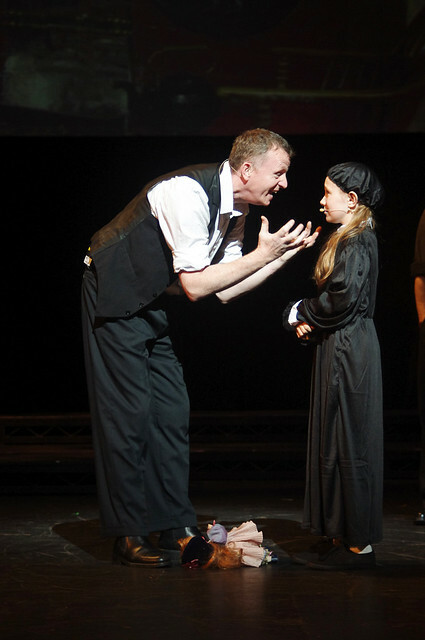 Scrooge: The Musical played at the Sunderland Empire over the 2006 Christmas period, starring comedian and television personality Michael Barrymore in the title role. 2007 saw the Sunderland Empire celebrate its centenary and a massive line-up of big shows including Starlight Express, The Producers, Footloose, South Pacific and the first pantomime since its refurbishment - Cinderella which starred Hollywood legend Mickey Rooney. 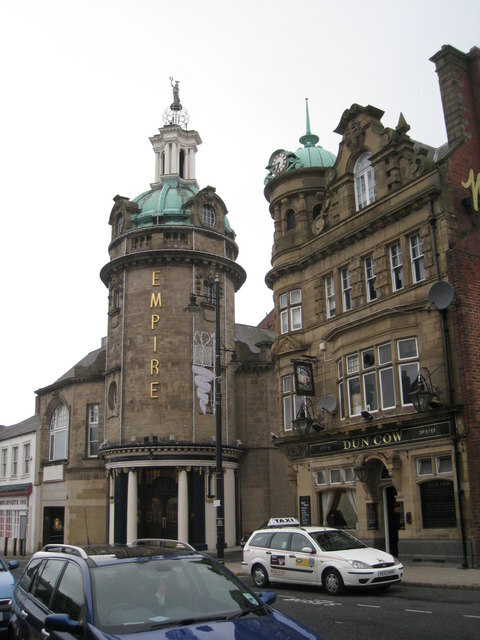 As part of their Education and Outreach scheme, the Sunderland Empire in conjunction with Live Nation Stage Experience presented a production of Thoroughly Modern Millie in August 2006. 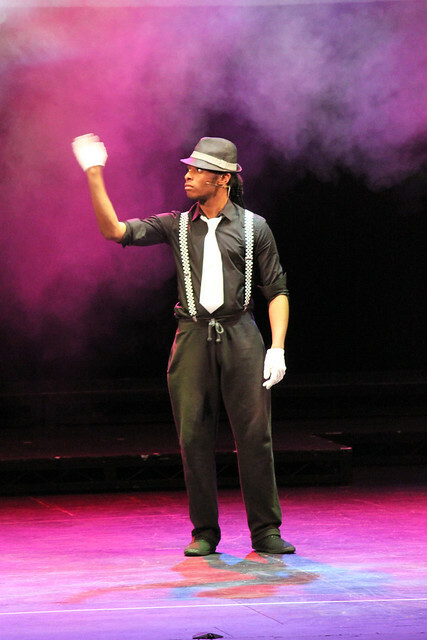 Live Nation Stage Experience is an opportunity for 9- to 25-year-olds to star in a professionally produced show. 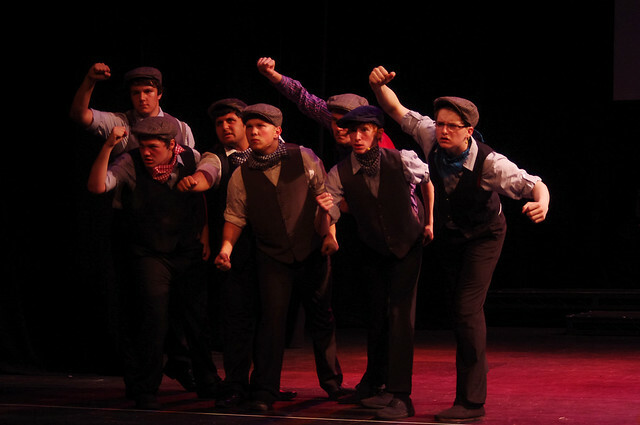 Over 140 young people attended the summer school, and managed to present the show from scratch in under two weeks. 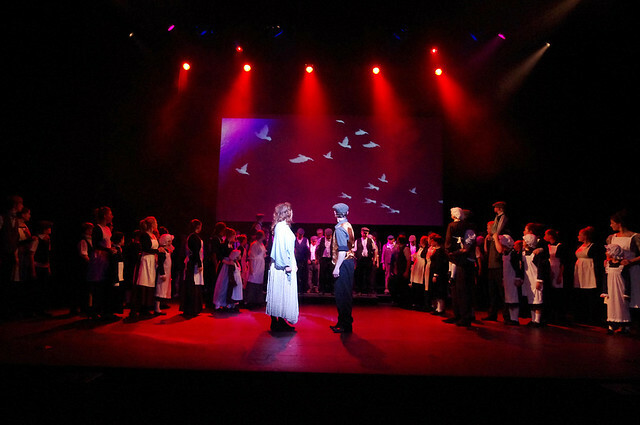 Due to the success of this project, another Stage Experience, We Will Rock You, was produced in August 2007, and in August 2008, a production of West Side Story was presented, with the cast and crew complement expanded to 170 young people, with many of the cast and crew returning from the previous Stage Experience projects. Text from Wikipedia, available under the Creative Commons Attribution-ShareAlike License (accessed: 08/03/2017). Visit the page: Sunderland Empire Theatre for references and further details. You can contribute to this article on Wikipedia. - Upcoming shows, tickets and a page on the history of the Empire.